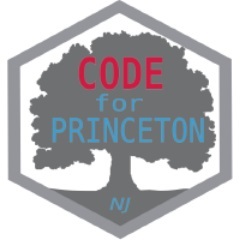 Code for Princeton comprises of a group of techies and community members interested in open government and civic hacking. We host hack nights, workshops, and talks plus work with the municipal government to provide open datasets. If you’re a techie, work in local government, or are a community member interested in civic engagement, this group is for you! We were founded in April 2015 and our first hackathon was held in June 2015 with some very successful teams that went on to set up an election app to report it live. The founding members included Claire Ralph (Founder-Director), Manbir Mohindru (Co-founder), Maddie Goforth, Claire Balani as part of the core team with Stephen Millet, Christine Symington, Janie Herman(as the community partners) and others. Since then we have held two more hackathons with transportation as a theme for one and another art hackathon in collaboration with the local West Windsor Art Center. A team of developers and subject matter experts on the topic of safe bike paths entered a contest organized by Sustainable Jersey in January 2017 and we are working hard on making the streets on Princeton safe for bikers. We have been busy. Your can join us at our Meetup at the Princeton Public Library and also on our Slack channel to check out our latest projects and on how to get involved.